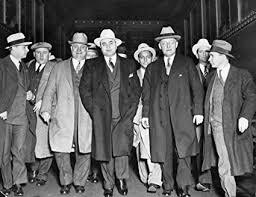 John J. Binder, author The Chicago Outfit and Al Capone’s Beer Wars: A Complete History of Organized Crime in Chicago during Prohibition, will discuss the history of organized crime in Riverside and surrounding suburbs. His talk will cover the mob’s influence on local business and politics, as well as notorious violent incidents and well-known resident criminals. Mr. Binder has served as consultant for several television documentaries on organized crime, and has given numerous interviews on the subject in various news media.